Re-size your breasts and improve shape. Dr. Green may perform a breast reduction for those with heavy or large breasts. Many insurance companies will cover the breast reduction procedure due to the neck, back, and shoulder pain usually associated with heavy or large breasts. Ideally this operation is best for someone whose breasts are fully developed, and whose breasts are large, heavy, or droopy. Dr. Green is able to remove the extra skin, tissue, and fat to both lift and reduce the size of the breasts. This procedure may also improve the position and shape of the breasts to look more youthful. In addition to the painful symptoms, many people opt to have Breast Reduction Surgery because of the unwanted attention commonly brought upon women with large breasts. Occasionally, a slight reduction in size and a breast lift may be done. This is usually considered cosmetic in nature and not covered by insurance. Insurance companies usually have a minimum amount of breast tissue that they require to be removed in order to cover the procedure. Although there is a necessity for a scar in this operation, this can be designed in a way that it is minimally visible, and with time the scar fades and becomes a thin pale line. 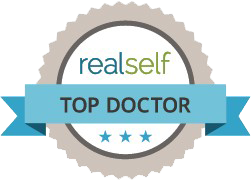 Dr. Green is very meticulous and careful in his surgical technique and has achieved particularly excellent results with the Breast Reduction operation. This operation is usually performed in an Outpatient Surgery Center and the patient goes home thereafter. Dr. Green does not usually use drains for this procedure and all sutures used are dissolving sutures. Extensive instructions are given for the postoperative care. Dr. Green usually sees his patients in the office several days after surgery to change the dressings and to check on progress. The postoperative discomfort is generally mild. We maintain close contact with patients postoperatively by telephone and if there is ever any concern or question Dr. Green makes himself available for direct consultation and reassurance. This procedure has one of the highest satisfaction rates. It dramatically improves the back, neck, and shoulder symtoms associated with the large breasts as well as providing improved body shape and confidence. If you are interested in this procedure it is a good idea to schedule a consultation well in advance because the block of time that is needed to do the procedure requires advanced scheduling.